Think you know your tacos from your quesadillas? 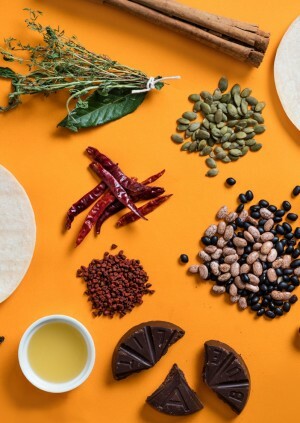 Join a panel of UK based experts as they talk you through the Mexican food and drink basics, where to try the best food, where to get the best ingredients, and most importantly with food and drink samples included. - Karla Zazueta from Mexican food memories - A London institution when it comes to cooking at home, she runs her own blog and youtube recipe channel as well as giving private cookery classes. She will be preparing the tasters for our session. - Edson Diaz-Fuentes- Founder and cook at Santo Remedio > Cocina Mexicana, has established himself as the hottest names in the London Mexican food scene, it’s a pleasure to welcome him in the panel. - Eduardo Gomez- Founder of the one and only Tequila & Mezcal Fest, is the ultimate agave expert on the side of the pond, he will be taking you through what the real tequila is, and taking you away from that first time you got drunk on bad tequila. Expect the best tequila and mezcal chosen by him for the tasters.